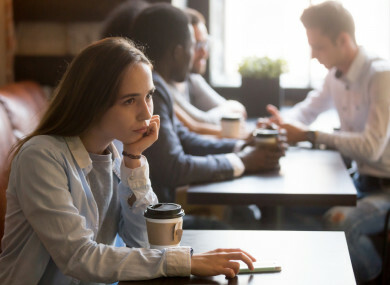 PEOPLE BORN BETWEEN 1983 and 1994 are concerned that they will not reach the same financial or emotional success as their parents a recent study has found. The Deloitte Millennial Survey 2018 found that 43% of the millennial generation in the global market believed that they would be happier than their parents. Millenials in emerging markets, however, were more confident about their futures with 57% believing they would be happier than their parents and 66% expecting to be financially better off. Only 37% of millennials in developed markets believed that they would be financially better off than their parents. The findings of the seventh annual survey are based on the views of more than 10,000 millennials in 36 countries and more than 1,800 Gen Z respondents in six countries. Gen Z respondents were that bit more hopeful when compared to millennials with 39% in developed markets and 70% in emerging markets believing that they would be happier than their parents. 51% those born between 1995 and 1999 in both markets believed that they would be better off than their parents. “Recognizing that our sample covered a narrower range of countries, Gen Z respondents seem slightly more pessimistic in developed markets and significantly more optimistic in emerging markets,” the study said. their parents or their grandparents. Email “Just 40% of millennials believe they will be happier than their parents ”. Feedback on “Just 40% of millennials believe they will be happier than their parents ”.